BY DUANE A. VACHON, PH.D. Next month, February 2013, will be the 70th anniversary of the torpedoing and sinking of the Dorchester, a U.S. Army troopship with more than 900 men on board. It was 1:00 A.M. on the morning of February 3rd when the Dorchester, 100 miles off the coast of Greenland, was hit by a torpedo fired from the German submarine U-223. The torpedo knocked out the Dorchester’s electrical system and in the dark, panic set in among the men on board, many of them trapped below decks. There were four Chaplains on board, two Protestant pastors, a Catholic priest and a Jewish rabbi. They were among the first on deck, calming the men and handing out life jackets. When they ran out, they took off their own and placed them on waiting soldiers without regard to faith or race. Approximately 18 minutes from the explosion, the ship went down. The four chaplains were the last to be seen by witnesses; they were standing arm-in-arm on the hull of the ship, each praying in his own way for the care of the men. Congress also attempted to confer the Medal of Honor on each of the four chaplains, but the stringent requirements for that medal required heroism performed “under fire,” and the bravery and ultimate sacrifice of these men did not technically qualify, since their actions took place after the torpedo attack. Therefore, members of Congress decided to authorize a special medal intended to have the same weight and importance as the Medal of Honor. 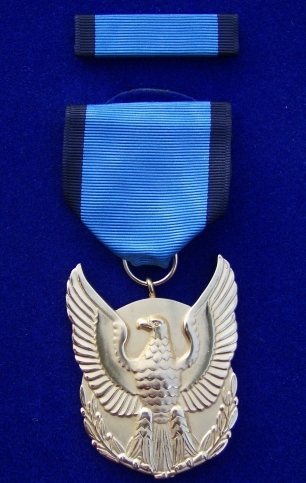 This award, the Four Chaplains’ Medal, was approved by a unanimous act of Congress on July 14, 1960, through Public law 86-656 of the 86th Congress. The medals were presented posthumously to the next of kin of each of the Four Chaplains by Secretary of the Army Wilber M. Brucker at Ft. Myer, Virginia on January 18, 1961. My name is George Greiner, I am the Greene County NY American Legion Historian. I will advise all posts in the County to memorialize this event the first Sunday in February, and in the future. Mat GOD rest their souls, preserve their memory, and sanctify all who have gone to protect our way of life in this, the United States of America. Very touching story. I'm sure the festivities bring up a lot of memories. I wish I could be there. I was a small kid when the world learned of the amazing bravery of the Four Chaplains. But I still remember the story and the commemorative postage stamp issued. So when the advisory board of the non-profit Jewish-American Hall of Fame (www.amuseum.org/jahf) voted to honor Jewish Chaplains in 2014, I knew that we had to include the Immortal Four Chaplains on the limited issue commemorative medals we were issuing. I presented this proposal on kickstarter to raise interest in the venture, but sadly thus far there has been virtually no support. A prototype of the medal—sculpted by renowned American sculptor Eugene Daub–is shown. I hope that you and others will want to continue to honor the Four Chaplains in the 21st century by supporting this project. For further information as how you can help, please visit https://www.kickstarter.com/projects/1143477881/i….